Cadianda, or kadyanda, Lycian name ‘Cadavanti’, is located high on a mountainside close to Üzümlü Town, approx. 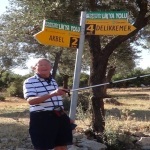 10kms from Fethiye. This historical city is likely to have dated back as far as the 5th century B.C. 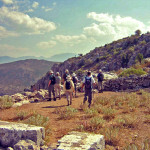 Cadianda was a Lycian City. The impressive ruins that remain today mostly date from the Roman period centuries later. Visitors can walk round the site amoungst the pine trees in a beautiful location. The views across Fethiye to the mountains and sea are stunning. 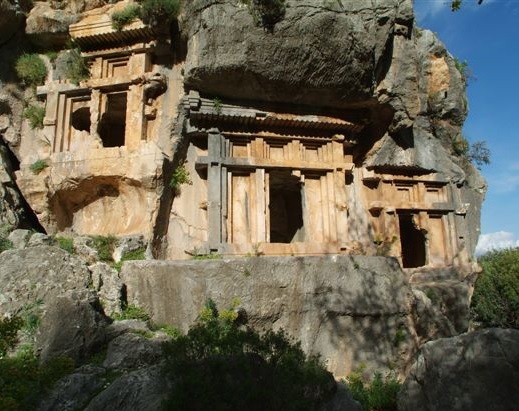 The ruins include ornately carved Lycian Tombs. There is a Roman Acropolis and Amphitheatre as well as a Roman Bathouse, Agora and Doric Temple. 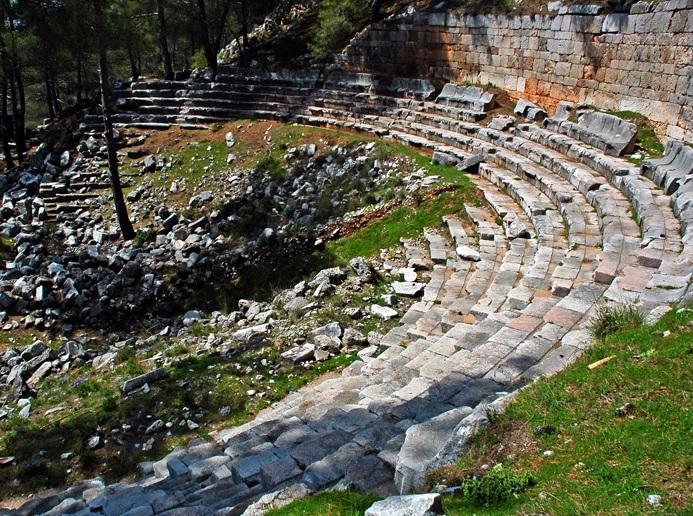 Near the centre of Cadianda is believed to be the city stadium. It is a flat area over 10 metres long where the seating is tiered on the hillside to make use of the wonderful surrounding views. Care needs to be taken as there are holes in the ground dotted all around the site. In ancient times the city dwellers would have stored their water here. 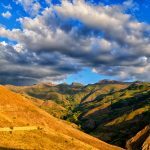 The easiest way to visit Cadianda is by car, an untarmacked road winds up the site where you will find a car parking area and small wooden ticket office. Pinara probably existed as early as the 5th century BC. 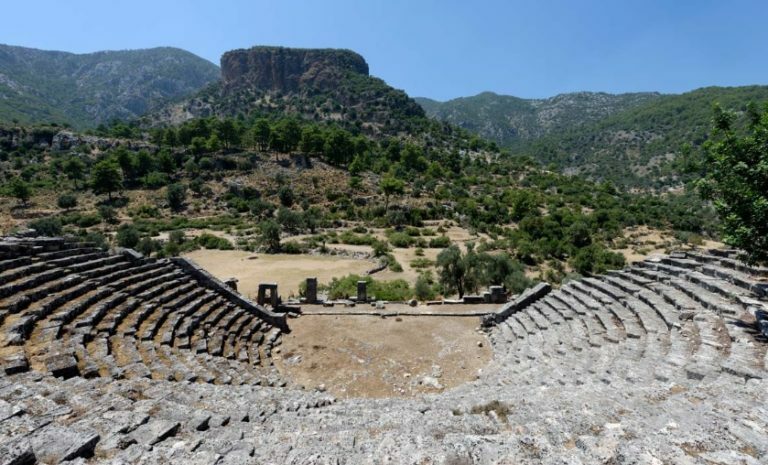 It is believed to have been founded as a result of overpopulation at the nearby city of Xanthos. We know from the 4th century BC historian, Manecrates, that realizing their city was overpopulated, the leaders split Xanthos into three separate groups. One group to be founding the city of Pinara. 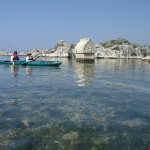 Pinara became a member of the Lycian League, in which it held three votes. Pinara surrendered to Alexander the Great in 334 BCE. After he died the city fell to the kingdom of Pergamum. Pinara became a Roman city when Pergamum was ceded by its king, Attalus III, to the Roman Republic in 133 BCE. The city prospered during Roman rule, however Pinara was badly damaged by earthquakes in 141 and 240 CE. It became the centre of bishopric in the Byzantine era. Pinara declined in importance and was finally abandoned in the 9th century. Pinara was one of Lycia’s largest cities. 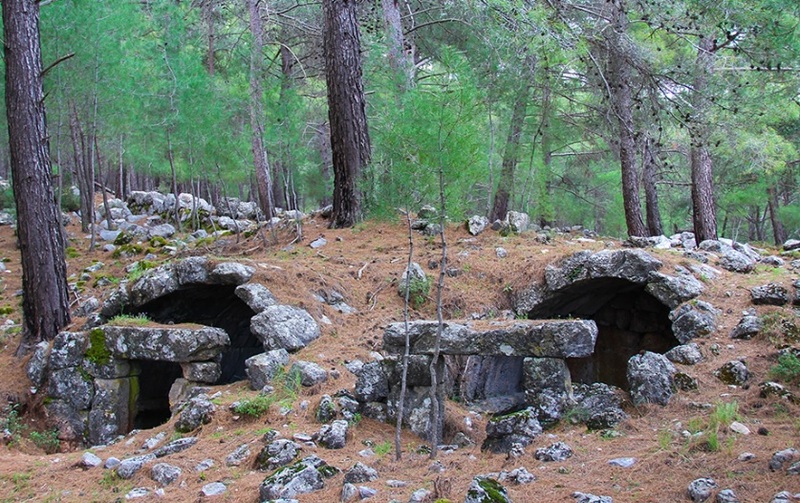 The remains today include Lycian rock tombs and one “royal tomb”. Roman remains include an upper and a lower acropolis, a theatre, an odeon, an agora and later church. The site of Pinara does not attract many visitors. It is likely that you will not see other people when visiting. Unlike the other nearby cities of Xanthos and Patara it is a peaceful place. It feels remote though it is not difficult to get to. Pinara is well worth the trip to see. The city, though not often mentioned by ancient writers, appears from its vast and beautiful ruins to have been, as Strabo asserts, one of Lycia’s largest, its chief port city until the harbor silted up to form the reed-filled wetlands of today. 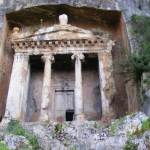 The remains of several ancient temples can be seen in Pinara, as well as The name Pinara has somewhat been assimilated to the name of the present-day village of Minare, half an hour below the ruins and depending Fethiye district of Muğla Province, Turkey.